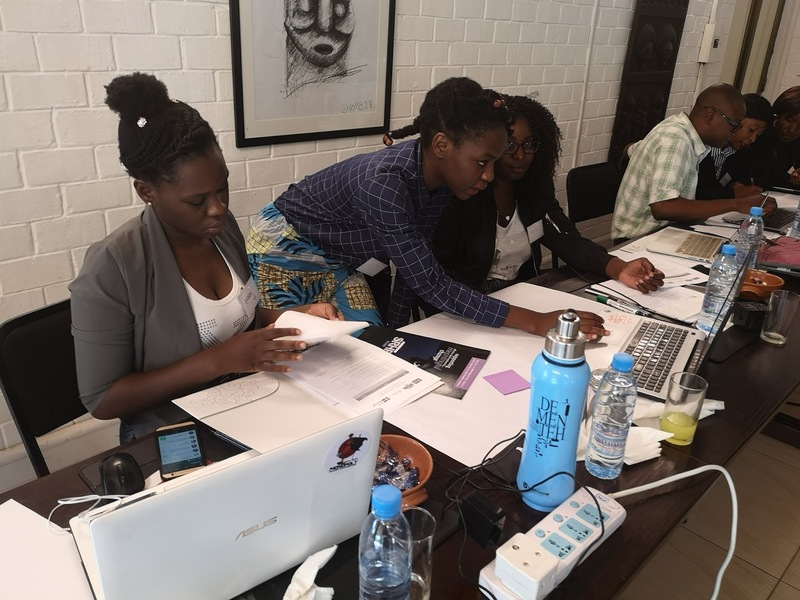 Feb 13 - 15, 2019: Chaminuka, Zambia - SAFIGI Outreach Foundation was one of nine youth led organizations invited to attend the first ever HIVOS capacity strengthening workshop for youth-led organizations. Of the nine, we were only one of three that are female led. SAFIGIs Volunteer Board is 100% women. As SAFIGIs (Safety First for Girls) founder, I attended with Board Director and Advisor, also my sister, Debbie, as well as Project Lead on Campaigns, Busiku. The event was at Chaminuka Lodge, Lusaka Zambia. If anyone is familiar with Lusaka, Chaminuka is one of those places that take you away from the bustle and noise of city life into an authentic natural environment Zambia can boast of – nature! The intense work week provided me with a very unique work-life balance week. After intense brain works and presentations, it was horse riding, boat cruising, and bird watching. There was also fishing and visiting a cheese factory, if I had been proactive enough and hadn’t fallen into a stress-malady which had me miss sweet pork, pea soup, and a wholesome meal. Of course I had my sister keep me an apple crumble. Even my headache couldn’t keep me from the scrumptious dessert. Yes, it was an amazing week. The HIVOS team introduced us to the SRHR Fund, SIDA, and Ford Foundation mandates for SRHR. After the presentations, the 8 youth led organization based in Southern Africa each made presentations about how their organizations are working with young people to implement positive shifts in sexual rights. Then we had Barbecue for lunch everyday, and after intense afternoon sessions, it was game drive SAFIGI Time. This baby elephant is called Little Mwema. :D My younger sibling. The mother is a wild one. Day two was focused on graffitti advocacy and day three really did my head in with checks and balances. When your organization uses creativity in place of funds and suddenly you are thrown into a finance discussion, your head SWIMS. This didn't stop me from trying a leg at horse riding. I didn't ride far due to panic even after convincing others to come for the ride in the first place. And a wonderful boat ride on the morning before we left the scenic paradise with monkeys that said hello from across the balcony.